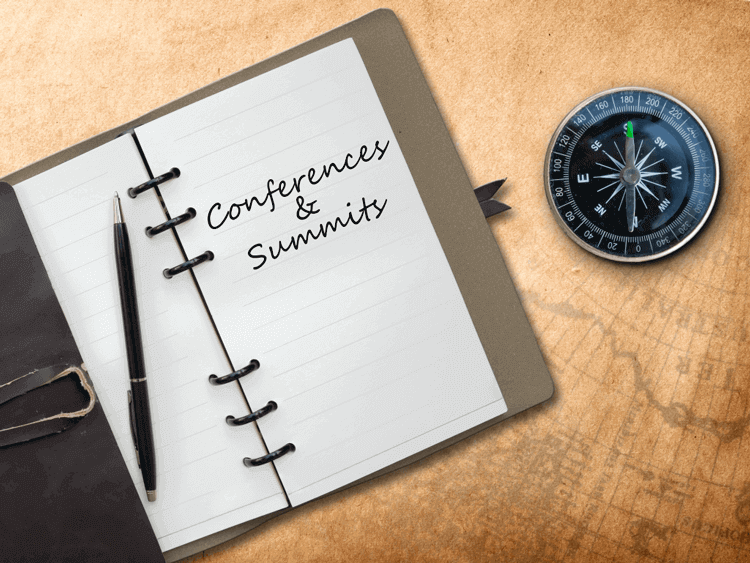 In an effort to assist our Canadian business, Giva has compiled a listing of upcoming cyber security conferences and summits in Canada for 2017. We hope this will be helpful to you! This conference's main focus will be on cybercrime prevention and information security (infosec). Speakers will deliver talks on a range of topics including how attendees can employ defensive strategies in their organizations, take action in the event of a cyberattack and the correct way to form a capable security team. Attendees will also learn about new strategies that should be implemented to protect against malware and the development of conventional ransom ploys into ransomware. Read more at Atlantic Security Conference. This event will shine the light on many cyber security enhancements. Attendees will be able to converse with exhibitors, see demonstrations of the newest technologies, and attend seminars that will provide them with insight on ways they can develop their IT strategies. Speakers will discuss issues such as the consequences of outage duration, ways to enhance IT infrastructure and minimize the dangers that an organization may face, as well as how to utilize flash platforms to close the app-data gap. The conference's aim is to discuss present IT security issues in all their forms. The main focus of this event is the detection, response and prevention of cyber attacks. Attendees will gain insight on how to actively defend their organizations from cyber criminals. They will also be provided with opportunities to view exhibition booths and interact with vendors to learn about the latest technologies. Read more at Toronto Tech Security Conference. This event will be divided into three segments. The first two days will consist of training sessions in applied security and will include training in digital forensics, incident response training and web security. The next two days will consist of a conference which will discuss a range of unique topics including unconventional methods hackers may use to breach an organization's security and reverse engineering of malware. The final part of the event is a competition in which 400 contestants will be divided into 50 teams and compete for first place over the course of three days. Read more at NorthSec- Applied Security Event. The main focus of this event will be privacy and the prevailing security issues that organizations currently face. Attendees will be introduced to some of the ventures currently underway by the Office of the Privacy Commissioner of Canada. They will also gain insight on how investigations into security breaches are held through the use of a case study built on true events. Additionally, participants will be directed on how to build and apply records retention strategies in their organizations. Read more at IAPP Canada Privacy Symposium. This event's theme is the power to prevent. Speakers will discuss the upcoming stages of development in infosec, threat prevention tactics, as well as strategies to protect servers, data centers and the private cloud. Companies providing software as a service (SaaS) will be familiarized with the latest threats to their applications and the best security strategies for such invasions. Read more at Ignite 2017 Cyber Security Conference. This event is open to senior level cyber security professionals and will feature editorial tracks discussing ransomware, wireless security and threat intelligence. Attendees will be able to connect with leading executives in this field, make new contacts, view exhibitions of the latest technologies and learn about pressing issues in cyber security. Read more at SC Congress. The conference's aim is to discuss present IT security issues in all their forms. The main focus of this event is on the detection, response and prevention of cyber attacks. Attendees will gain insight on how to actively defend their organizations from cyber criminals. They will also be provided with opportunities to view exhibition booths and interact with vendors to learn about the latest technologies. Read more at the Vancouver Tech-Security Conference. Secure Toronto aims to help organizations optimize cyber security strategies and protect their systems. The key to effective cyber security is understanding cyber criminals, their aims and objectives. It is also important to be up to date with cutting edge security technologies. This will educate attendees on how to take the necessary measures in securing their data and striking back against attackers. Read more at Secure Toronto. This event will bring together researchers, professionals and programmers. It will update them on the most recent breakthroughs in cyber security and privacy. The symposium will consist of peer reviewed papers, panel discussions and shared interests sessions. Attendees who share common interests can gather in an informal setting and discuss relevant topics. Read more at UNISEX Security Symposium. Read more at Montreal Tech Security Conference. Read more at Calgary Tech Security Conference. Hackfest is one of the largest hacking events in Canada and is made up of two segments. The first three days will consist of quality training in cyber security and hacking. This will be followed by a two day conference which will discuss piracy and security issues. Participants can also test their skills in cyber security and hacking within safe boundaries by partaking in entertaining contests and workshops. Read more at Hackfest Infinity (or here for English). This premium event will bring together security executives, research academics and students to be educated by accomplished and notable leaders in various areas of expertise. Topics that will be discussed include legal hacking, privacy and possible IT careers for the youth of today. Speakers will also interact with attendees and share with them their unrivaled experience in the industry. Read more at International Cyber Security & Intelligence Conference. World leading experts will come together to discuss recent breakthroughs and strategies in cyber defense systems. Speakers will introduce unique and engaging topics such as the effect of quantum computers on cyber security as well as the benefits of inventing your own tools to assist in cyber protection. Additionally, attendees will learn how to utilize digital forensics in detecting and responding to threats. Read more at SecTor Security Education Conference.